Good morning, babes! I'm finally back home after a long trip around New England. This was my first time visiting Boston and New Hampshire, and my second time in Vermont and it was absolutely stunning. I will say, I'm happy to be back home and with my family though - I missed them! For toady's post, I thought it would be fun to share 10 random things I'm really loving right now! 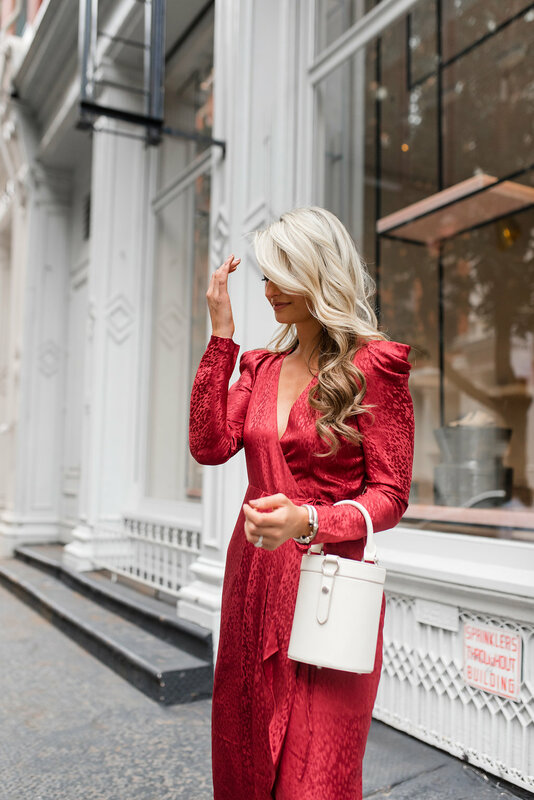 I spend a lot of time trying out new products, ordering the latest and greatest, and using researching "what's next", but I don't always get to share my thoughts on those items via my outfit pictures on Instagram. So, here are 10 items I'm currently excited about! 1. Beautycounter Resurfacing Peel // I have been using the resurfacing peel for a little over a month now and you guys, it's like a magic eraser for your skin! Holy cow. I had a couple blemishes on my face from hormonal pimples in the same spot month after month and the resurfacing peel has lightened those so that I almost don't see them anymore! I use the product 3-4 times per week, it's super easy, and I do not consider it abrasive. Hoping with more continued use that my scars will be gone forever! 2. Eye Patches // I had the good fortune of getting to experience Glam Squad while at New York Fashion week last month and the kind woman who did my makeup used eye patches on me. This was my first experience with eye patches, but also not my last! I fell in love with how they felt and what they did for my under eye (reduce redness, puffiness, and dark circles), that I have been experimenting with different brands ever since. Some of my favorites are here and here and these are next on my list to try. 3. Teleties // Have y'all heard of these? As mentioned above, bloggers have the opportunity of trying out new products sometimes, so when Teleties asked if they could send me some of these hair ties it caught my attention immediately as I had heard they were better for your hair! I tend to get breakage around where my hair sits in a pony tail, so I'm all about finding a better option and so far, I think these really work! I've been wearing them for a few weeks now, and I noticed they don't pull or tug on my hair like a normal hair tie does, but they still hold my hair up even while working out! 4. Nespresso // I've always loved Nespresso coffee but we recently bought a Nespresso machine for our home and it is hands down the best investment we've ever made. The coffee is incomparable to what I used to drink, and I spend less money on Starbucks because of it! Linking the machine we have here. If you are a coffee snob like me, add this to your Christmas wish list and you can thank me later! 5. Gucci Camera Bag // Alright, this is more of a splurge item, but if you have the means I highly recommend this bag. It's the first Gucci bag I've ever owned, and I've actually never purchased myself a designer bag prior to this one. Shane bought both of my Louis as gifts, and I've always been more modest when it comes to spending on designer items. 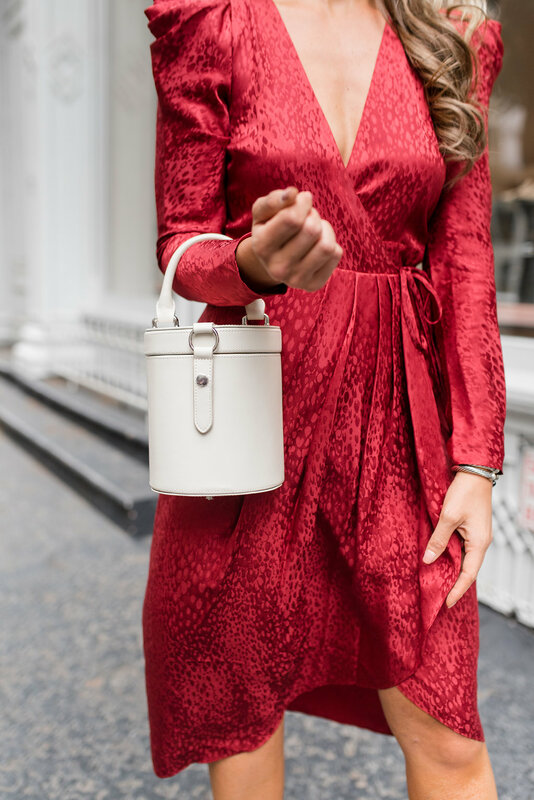 However, I had my eye on this bag for what felt like forever, knew it would be versatile in all seasons, and wanted to reward myself on a recent milestone I worked really hard for. So, bag purchased and I don't regret it one bit! It's been so handy, the size is perfect, and I still look at it googly eyed every day. 6. Knit Turtleneck Sweater // I posted this on Instagram recently! It's a $19.99 turtleneck that feels like heaven! If I'm being honest, I was surprised by how great the quality is for the price point. I love that it's longer, fits under jackets, and comes in three colors. 7. Sakara Daily Probiotic Blend // This is a blend of probiotics, prebiotics, and enzymes that promote healthy, balanced microbiome for overall wellness. I first heard about these when The Skinny Confidential interviewed the Sakara Life girls on her podcast and decided to give them a try! With all of the traveling I do, my body feels out of routine, and these have really helped regulate my gut health! You're supposed to take one at night, and one in the morning on an empty stomach but I typically just take one in the morning and am really impressed with how well they work when taken regularly. 8. Josie By Natorie PJ's // I took these to New England with me and I'm fairly certain I'm never taking them off. They're simple yet cute, soft, and comfy! I have the burgundy color but it also comes in grey/black. When your feet get cold, add these knee high socks for all the cozy vibes. 9. Ponchos // This is a more generalized item, but here's why I like them for fall. One, they can be worn so many ways! Over leggings, over a dress, or with jeans, knee high boots and a simple tee underneath! Two, they keep you really warm! It's like wearing a blanket around. I hate how restricting coats can be, and ponchos keep the warmth in but allow for more movement. Three, you can find some really cute affordable ones at all types retailers! Some of my favorites can be found here, here and here. 10. Organic Pure Care Inca Oil // My hair dresser recommended this and I'm so thankful because it has made a difference in my hair! This is made in Italy and assists in sealing split ends, regenerating the hair during blow drying, and helps dry, treated, and lifeless hair come back to life! I put a small size drop in damp hair about 3 times a week. This was one of my favorite weekends to date! Asheville is just a short two hour drive from Charlotte, and the perfect weekend getaway destination. Bailey and I got to bring the boys with us for this trip, and it truly made one for the books! There's so much to do in Asheville, you'll find one of the best brewery scenes on the east coast, lots of farm to table local restaurants, and stunning views of the Blue Ridge Mountains all around you. I've put together the perfect guide (based off our own activities while visiting) to a weekend in Asheville for you and your travel companions! For this trip, we stayed at the Hyatt Place Asheville Downtown! This was my first time staying at this hotel, and I loved it. It's conveniently located just a short walk from over 200 locally owned shops, restaurants and entertainment venues in the downtown area of the city! Rooms were artfully decorated (pictured above), and either had a view of downtown or the Blue Ridge Mountains. Bailey and I were lucky enough to have the opportunity to stay in both the bridal and grooms suites and they were by far some of the coolest rooms we've ever stayed in! They were spacious, full of luxury, and honestly like mini apartments. The hotels hospitality was fantastic, breakfast was included in our stay daily, and the hotel's lobby had it's own coffee bar with locally produced snacks at hand - if you know me, you know this was a highlight! I can't go without mentioning the hotels own rooftop bar, The Montford. The Montford serves up artisanal small plates, craft cocktails, and panoramic views of the Blue Ridge mountains - make sure to check this spot out. The food scene in Asheville is spectacular! You really can't go wrong here but let me highlight a few of my favorites. The Montford Rooftop Bar // As mentioned above, this spot is located at the top of the Hyatt Place hotel and boasts some of the best restaurant views we've seen in Asheville to date. A contemporary, rustic speakeasy, offering craft cocktails and small plates. Some of our food favorites here were the tater tots, bison meatballs, and sausage flat bread. Don't miss out on the smoking gun either! I would recommend this if you're looking for a more casual, laid back dinner & drinks scene. Curate // Asheville's number one rated restaurant! We had dinner here our second night, and it was all that it was cracked up to be. 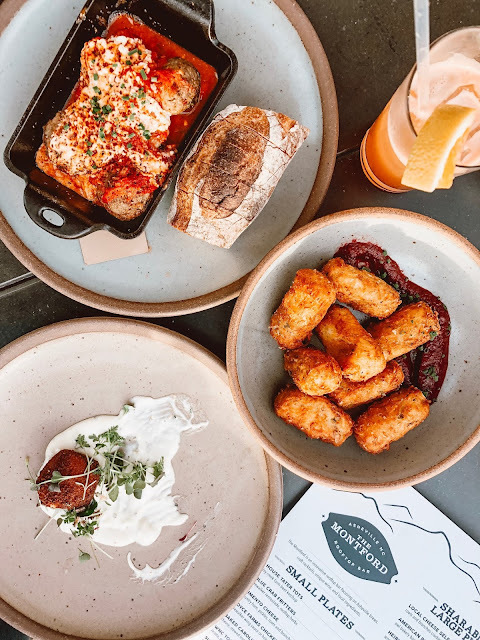 This is another small plates joint, offering some of Spain's finest and most authentic cuisine. I loved this whole experience! Make sure to book a reservation as early as possible and this spot rarely has room for walk-ins and reservations can be hard to come by last minute. Old Europe // Let's be honest, this guide wouldn't be complete if I didn't find a great local coffee shop in town. We randomly stumbled upon this place in search of a good iced coffee to combat the heat and we struck gold! This spot makes authentic European desserts and pastries daily, and the coffee didn't disappoint either. It's a cozy little spot perfect for an afternoon break! The Corner Kitchen // This is the cutest little restaurant located in the Biltmore Village. The village itself has been dubbed historic, and is filled with cozy little shops and restaurants. We did Sunday brunch here and the menu consisted of lots of southern "mommas" fare. Tupelo Honey Cafe // Asheville is home to Tupelo Honey's first ever location! Scratch made southern food at it's finest, this place is the perfect brunch location. We have one here in Charlotte, but there's nothing like visiting the OG of brunch while in Asheville. If you take me up on my recommendation, make sure to order the sweet potato pancake - it does not disappoint. Anticipate a longer wait time here as this is a popular location! Sierra Nevada Brewing Co. // Okay, I'm not even a beer drinker and I loved this place and really can't wait to go back! If this isn't on your list of to-do's go ahead and add it in! Let me just start off by saying the food is actually really good here too, we had lunch here on Saturday of our trip but since I was mentioning it here under activities, I skipped adding it under the food category. They have corn hole, live music, bocce ball, and obviously lots of Sierra Nevada beer. I recommend setting aside a half day for this as it's located just outside of Asheville. Biltmore Estate // If you've never been to Asheville, this is a iconic must do in the city. The Biltmore Estate is a mansion built by George Washington Vanderbilt II in the 1800's and the largest privately owned house in the United States. Guided tours take you through all the rooms of the home, there is an on-site vineyard with wine tasting opportunities, an equestrian center and much more. This does require the purchase of a ticket. Go Shopping Downtown // If you're staying at the Hyatt Place Asheville, downtown is walking distance from the hotel. Asheville is known for it's local artists and designs, cool indie wear, and vintage boutiques. If you're into the artsy things, you should spend an hour or so checking these places out. If you're in search of art specifically, I hear the River Arts District is the place to be. We haven't experienced this personally, but it's on our list for next time. Cruise along the Blue Ridge Parkway // This 469 mile scenic route between Virginia and North Carolina is stunning no matter what time of year you are visiting, but during fall it's absolutely spectacular. Expect panoramic views of the mountains, wildlife, and foliage for days! It's also home to some of the most beautiful hiking trails if you prefer to take in natures beauty on foot. I have hiked around the Blue Ridge Mountains, but not in Asheville so I cannot recommend a specific trail just yet but will update once I've experienced this here. They also offer guided tours for this! Asheville is pretty casual in terms of attire. It's one of America's best outdoor towns so you'll notice lots of hiking gear, flannel, jeans, and athletic wear. 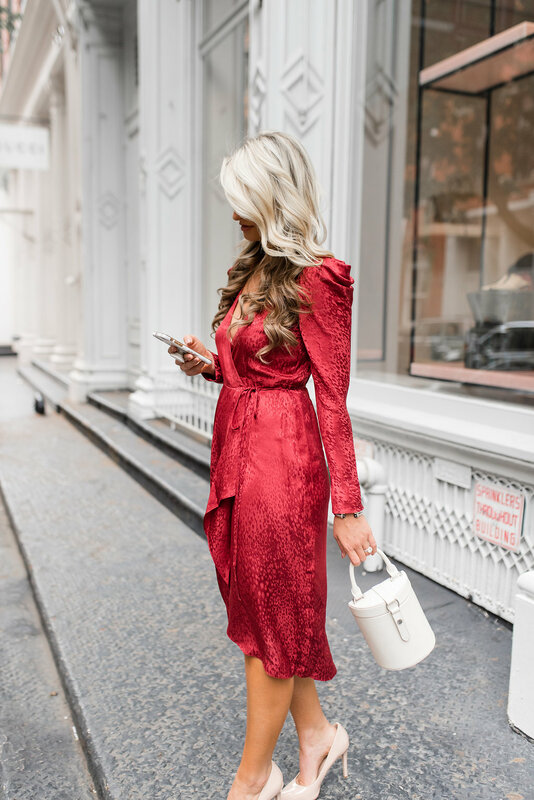 If you're headed out to dinner, jeans are still appropriate - I just dressed mine up with a simple blouse and heels, or a fancier slide if you're not a fan of the added height. *In partnership with Hyatt Place Asheville Downtown. As always, all opinions are my own. Alright, let's be honest - I don't talk about my hair a lot around here and there's a reason for that. I used to have the most beautiful, long, shiny, healthy hair until about a year before our wedding. Truth is, I'm still not really sure what happened at that point - I had super healthy hair, and then all of a sudden I didn't. My best guess is that I had just tried low lights for the first time, and my hair felt sticky and tough to comb through shortly after that. It felt like either my hair didn't take well to the low lights, or out of nowhere I had a ton of product build up in it. Either way, I was in such a hurry with life and all the things going on around me that I didn't really take it seriously until it was too late. Within a matter of 8 weeks, I had a ton of breakage, my hair felt brittle and thin, and it honestly was in the worst shape it's ever been in. So, with that being said -- I've spent the last two years in what I like to call "hair rehab." This means I no longer blow dry my hair (I let it air dry), I don't wash it regularly (three times a week seems to be the magic number), and I pay close attention to what I'm putting in my hair weekly. If you are up to date on the latest beauty trends, then you may be familiar with the benefits of charcoal for not only your skin, but your hair as well. It's all the rage right now! Charcoal masks, charcoal teeth whitening, and now charcoal shampoo and conditioner. 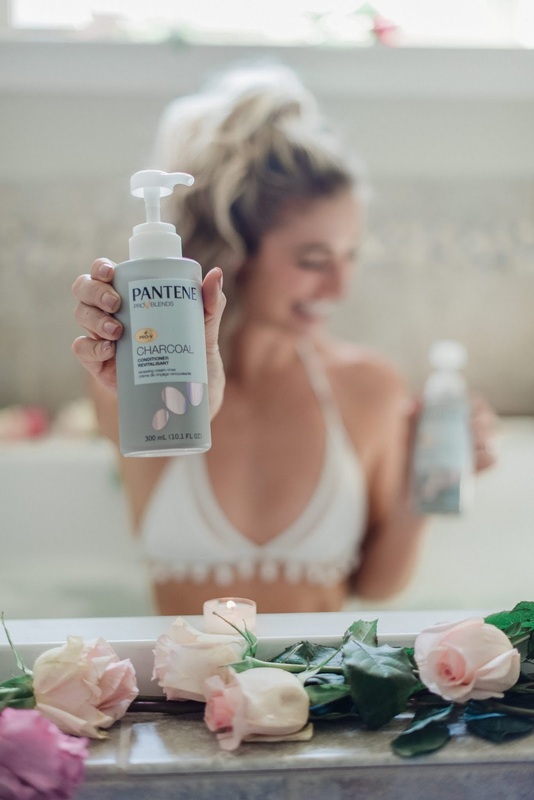 Since charcoal has done well for me within other beauty products, I decided to give Pantene's new Charcoal Collection Shampoo and Conditioner (available at Amazon) a try! Because build up is one of my main concerns, I focus on using a clarifying shampoo and conditioner to strip my hair of all the products I've used between washes. 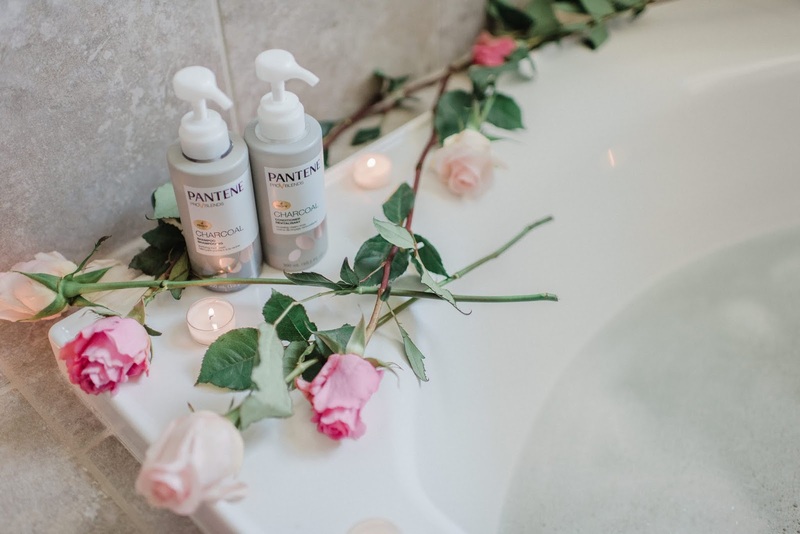 It's important to find a shampoo that can remove impurities in your hair, dirt, gunk from products, and reset the Ph balance of your scalp in order to prevent breakage! 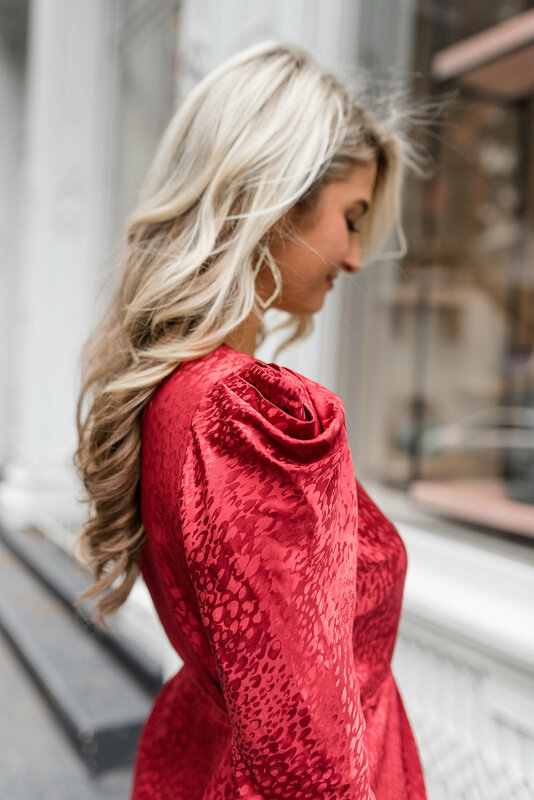 And trust me when I say, you want to avoid breakage at all costs - it takes years for your hair to regrow once the damage is done and even when it does, it may never grow back as beautiful as it was pre-damage. So why Pantene? Their new Activated Charcoal line is a nutrient blend containing activated charcoal, pro vitamin B5, and antioxidants that act like a magnet to cleanse the hair and scalp by getting rid of impurities, leaving your hair silky, soft and smooth. 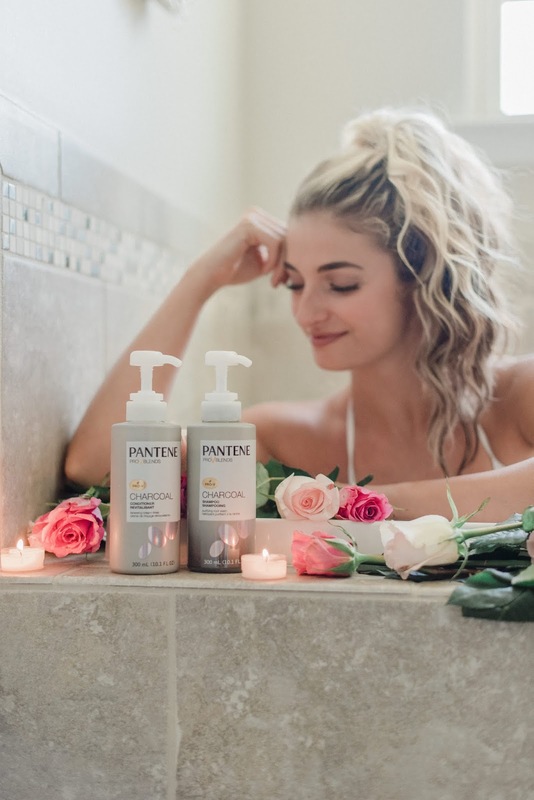 If you're a regular reader of TCB, then you also know I've made a recent effort to get rid of toxic self care products, and this particular Pantene line is free of silicone, parabens, and dyes. So it fits right in with my mantra! Long story short, I wish I would have known to use a clarifying shampoo and conditioner from the start! 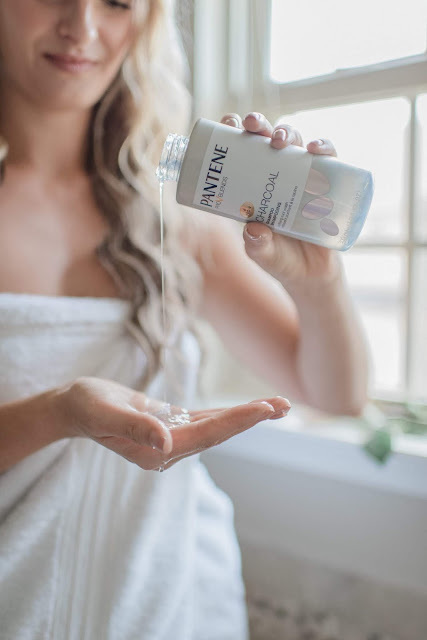 It makes perfect sense, if you're not washing your hair regularly and using lots of dry shampoo and styling products on a regular basis -- build up will happen. Take my advice and save yourself the hassle later on! Your hair will thank you. I'm also really excited to share a promotion Amazon is running until October 31. 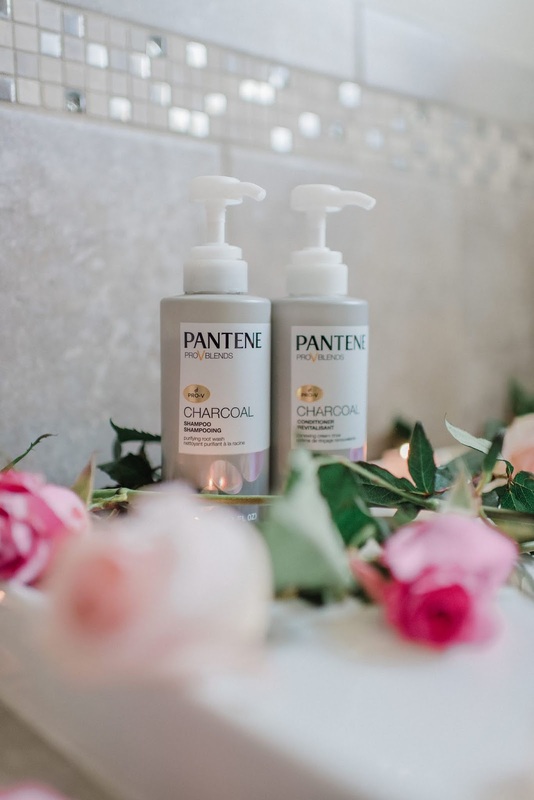 Click here, use the promo code "20PNTCHARC" to receive 20% off the Charcoal Collection Shampoo and Conditioner (530ml) when purchased together.